Elon Musk's Boring Company has been selected to build and operate an express service from downtown Chicago to O'Hare International Airport. NBC 5's Lauren Petty reports. 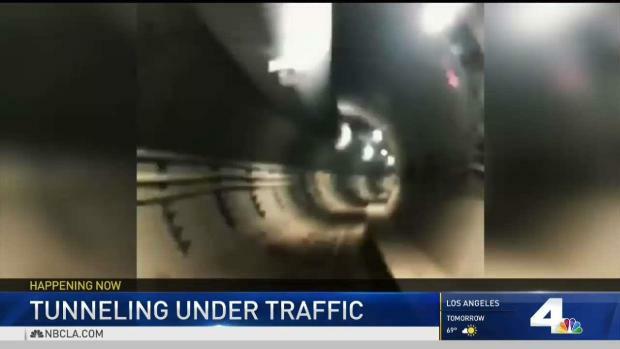 After two reports surfaced late Wednesday night, the city of Chicago confirmed that Mayor Rahm Emanuel will announced the selection of Elon Musk's Boring Company to build and operate an express service to O'Hare International Airport. 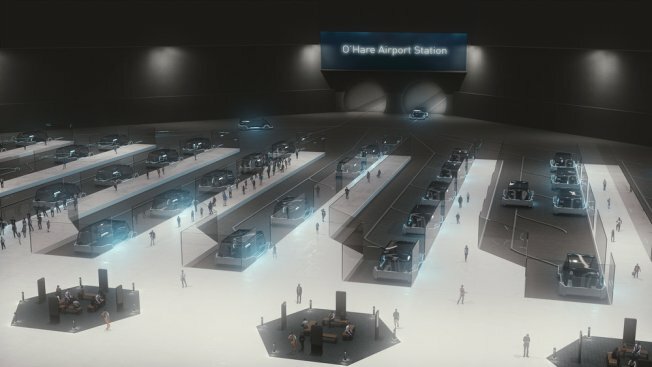 The company plans to transport passengers between O’Hare and Block 37 in the Loop in approximately 12 minutes each way by using electric vehicles that run through new twin underground tunnels, the city said. The project will be funded entirely by the company with no taxpayer subsidy, according to a press release from the city. The Boring Company said a map of the route would be posted later this summer on its website. "Loop is a high-speed underground public transportation system in which passengers are transported on autonomous electric skates traveling at 125-150 miles per hour," Boring's website reads. "Electric skates will carry between 8 and 16 passengers, or a single passenger vehicle. " Skates are built on a modified Tesla Model X chassis and feature a climate-controlled cabin, luggage storage space and Wi-Fi. Fares for the express tunnel are not finalized but will be less than half the typical price of a taxi or ride-share services, but higher than the Blue line, Boring said. The city said it will begin one-on-one contract negotiations with a final agreement will be presented to the City Council. The news was first reported by Bloomberg and the Chicago Tribune.